With their head coach on the sidelines for his final home game, the Odessa-Montour boys soccer team came up with its most impressive performance of the season Wednesday at Odessa’s Charles Martin Field. 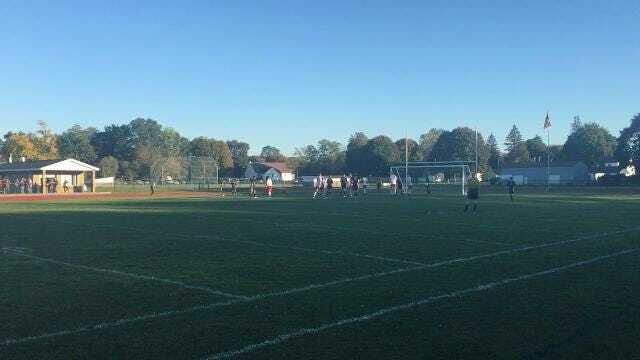 The sixth-seeded Indians scored four goals in each half for an 8-0 victory over 11th-seeded Spencer-Van Etten/Candor (6-8) in a Section 4 Class C Tournament first-round game. Taylor Grover had a hat trick for O-M (9-7), with all three goals coming in the first half.